The financial services industry engages the talents of individual investors who can accumulate large fortunes from the stock market by making investments through unconventional methods. 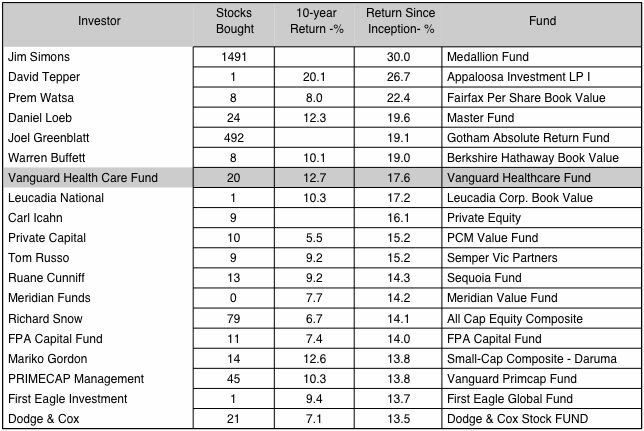 These operators, often labeled as “gurus” manage portfolios by charging large fees on the investor’s investments (usually 2%) plus earning a 20% of all of the profits earned. There are over 100 private capital investors also known sometimes as “hedge” fund investors. Large investment returns and huge personal fortunes are realized over an extended period that is measured in decades. The largest gain was accumulated by Warren Buffett because superior returns were realized over a more extended time than by the other private investors. Should seniors try to improve their portfolio through investments with well known private managers or should they keep their funds with well managed and low-cost mutual funds? With shorter longevity, the risky returns could be also realized through selection of superior mutual funds or ETFs while maintaining greater liquidity as well as flexibility to include IRA funds in a portfolio.